During my time with The Evil Within 2‘s QuakeCon 2017 demo, there was a point where I thought I had the game already figured out. While running away from a murderous monstrosity down a linear hallway, I immediately had flashbacks of the first game and thought to myself that this concept was novel in 2014, but not anymore. Everything about the sequel until that point felt stuck in the shoes of The Evil Within. I am sincerely glad the demo lasted an hour because just as I was getting ready to resign The Evil Within 2 to being another sequel with minimal innovation, the game went and surprised the absolute hell out of me with its creativity. The demo starts with a brief cutscene showing returning hero Sebastian Castellanos connecting to STEM (the collective consciousness world introduced in the first game), while his former partner Juli Kidman provides narration. She explains that Sebastian’s believed-dead daughter is alive and the only way to find her lies in STEM. The scene ends as I take control of Sebastian. An objective marker appears telling me that I need to find the Mobius Search Team members lost in this make believe world (ostensibly to avoid spoilers, the demo started somewhere in the game’s second chapter). From here, the game became immediately recognizable as an Evil Within title. Unarmed, Sebastian navigates a dark room with bodies hanging from the ceiling, the environment shifting around him as he searches for a way out. Eventually, a door appears, and when I walked toward it, surprise — a jump scare and a towering creature with a giant buzzsaw for an arm. I ran away down a hallway and without spoiling what happens next, Sebastian ends up in a different part of STEM, a house in a town called Union. While the gameplay until this point felt a little too familiar for my tastes, I was immediately impressed with the visual upgrade the sequel has over its predecessor. Character models are fantastic and realistic, with some excellent texture quality apparent on clothing. Animations are much more smooth this time around and allow for some impressively fluid transitions between scenes. Best of all was the lighting and color, which fill the world with a sense of life the first game sorely lacked. Some blurry textures appeared in the environment from time to time, but this took nothing away from the impressive amount of detail I observed in The Evil Within 2. Back to the house. Here I found a handgun and a knife which serves as the new de facto melee attack in The Evil Within 2. The controls felt somewhat different but more intuitive than the first game, which took some getting used to. Sprint was bound to L3; the inventory bound to LB. There’s some acclimation needed for avid players of the first game, but this ultimately feels like the best way to play the game. After a creative encounter with a motherly zombie creature I don’t even want to hint at spoiling, I find them under attack from the same zombie-like creatures featured in The Evil Within 2‘s numerous trailers. A lone survivor retreats inside a nearby house, and I need to get past the horde to reach them. With next to no ammo, I knew I couldn’t take down the whole mob, so I found a nearby bottle and threw it as a distraction. The creatures sauntered away from my objective, and I moved to stealth kill the one that had been banging on the door since the Mobius member went inside. The stealth kills in Evil Within 2 are much more cinematic than the canned animation from the first game, offering multiple variations while drawing the camera in so players can enjoy the gory glory. Once inside, I explored and met up with the survivor, named Liam O’Neill, who gives me the info he needs to continue my journey to the core of STEM. I don’t want to spoil anything, but there is a pretty cool moment for Sebastian in this scene, even if O’Neill is a bit of a wet blanket. When this is over, players are left to explore the room, and there is a lot to unpack here. Acting as something of a safe room similar to those in Resident Evil, O’Neill’s room has a bench where players can craft items out of components they find in the world, and also upgrade weapons by finding weapon parts. I hadn’t found enough of anything to craft something useful, but the system seems deep enough to offer player choice in what they want to create and when. In my playthrough, I found a healing herb, gunpowder, weapon parts, and a fuse, but looking at the inventory menu tells me there are a lot more ingredients waiting to be found. Also in the room was a coffee pot, which completely fills Sebastian’s health when he decides to indulge in a cup of joe. It’s an odd aspect, but not so jarring that I couldn’t get on board with it. As Sebastian leaves his safe haven, he sees a ghostly figure from the first game. A cracked mirror appears, and he goes down a familiar hallway. Down the hall resides the upgrade chair from the first game. Again, I was unable to use it because of a lack of resources, but the overhauled upgrade system seems much more like a skill tree than the first game’s simple stat increases for health, stamina, and the like. Exploring more of the area reveals that this place isn’t the asylum from the first game, but Sebastian’s police office, or at least a STEM facsimile of it. I found a save terminal featuring Mobius markings and the same black cat featured in The Assignment and The Consequence DLC’s for The Evil Within. I discovered a slide of film on a desk, presumably a type of collectible. I put it into a projector which then displayed an image of Sebastian with his wife and daughter. I was then prompted to call Kidman over Sebastian’s communication device. Then began a short, somber scene with Sebastian lamenting the loss of his family, and chiding Kidman for her previous betrayal. It was an entirely unexpected moment filled with emotion, and while I’m unsure of the game’s overall dramatic chops, it shows a new approach to Sebastian’s character and the story surrounding him. Leaving the police station through the mirror, tasked with using Sebastian’s communication device to track down a mysterious signal of a crying woman, I pinpointed a general direction and left the house. A lot had surprised me so far in the demo: crafting, overhauled progression, unexpected emotional moments. But little did I know that the best was yet to come. I quickly found that to reach my objective, I needed to traverse a broad section of Union. Practically open-world, I spent almost 20 minutes exploring the area and didn’t even come close to reaching my objective. Wandering into the first house I saw, I found an abandoned computer which transported me to some kind of underground bunker side quest. My reward for stealthily killing the enemies within was a shiny shotgun; this is an incredibly useful weapon that I might not have found if I hadn’t decided to go off the beaten path. Exploring the town again, I accidentally triggered a trap that, instead of just killing me like The Evil Within would have, warped time and spawned a very dangerous enemy that required me to run away — shortly after I happened to exhaust my remaining ammunition. Great. The next house I wandered into gave me a different signal to track down, although I didn’t have enough time to find out what it would lead to. My demo ended as I made a mad dash to a truck stop, hordes of enemies converging on me as I stomped through the town. Still far from my objective and I hadn’t even seen a good half of the open area. I sincerely didn’t want my time with Evil Within 2 to end. This kind of open-ended level design is something the genre has been lacking since the early days of Silent Hill. It offers a fantastic opportunity to reward player exploration in a way that goes beyond simple collectibles and small upgrades, and I’m excited to see The Evil Within 2 tackle it head-on, fully utilizing current hardware and processing power along the way. For what initially felt like a demo for a by-the-numbers horror title quickly became so much more. 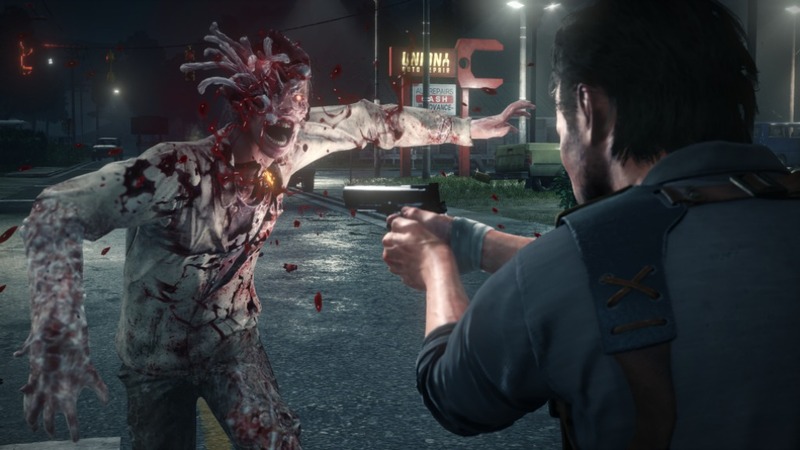 The Evil Within was by no means a perfect game, and it’s good to see that Tango Gameworks has not only taken its criticisms to heart but innovated on what worked best. 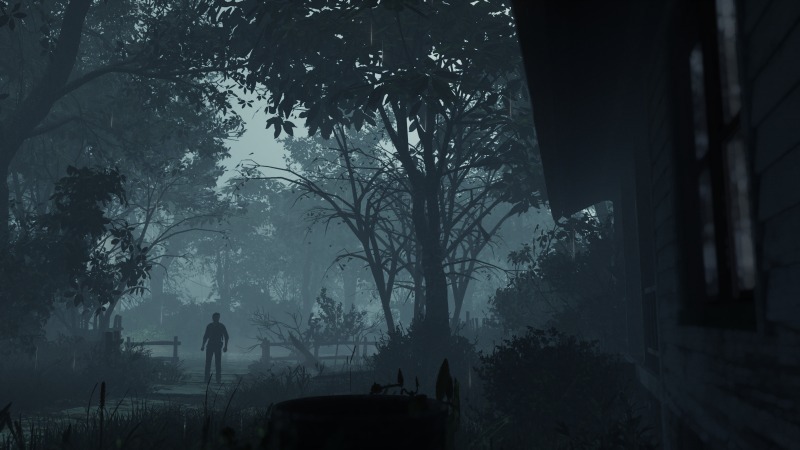 The result is an experience that feels fresh and exciting, full of mystery and opportunity even to someone who has played through The Evil Within multiple times. 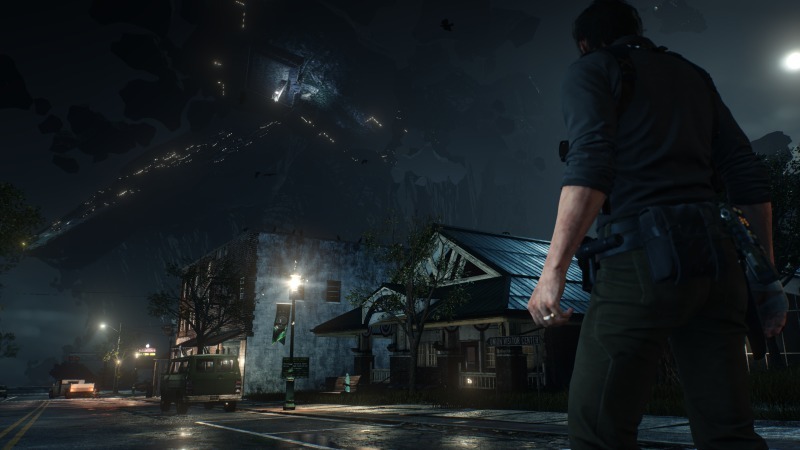 A renewed attention to narrative, tighter controls, better graphics, and some impressive level design suggests that The Evil Within 2 has the potential to be not just one of the best horror titles of 2017, but one of the best games in the genre period.